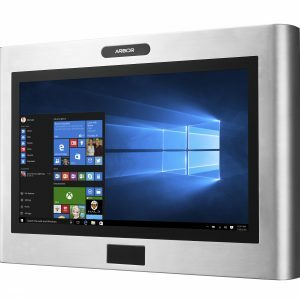 Arbor’s widescreen touchscreen panel PCs are designed for demanding industrial and commercial environments, where 24 hour operation and durability is essential. 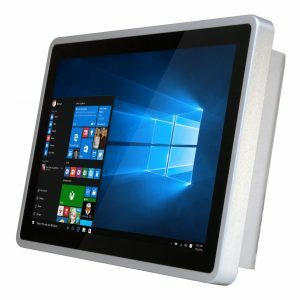 The ASLAN Series of widescreen industrial panel PCs offers ultra-reliable performance, integrated connectivity, high resolution LCD display (up to 1920 x 1080 px) and fanless cooling, in a compact yet robust design. With Intel® Celeron ™ and Core i5 ™ processors selected from Intel’s embedded roadmap; we can guarantee long term availability and support. 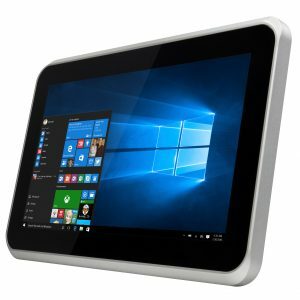 The ASLAN panel PC series features projected capacitive touchscreens, with LED backlight for clear operation. 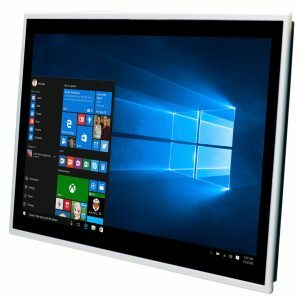 To enable a wide variety of applications to be addressed, the ASLAN series is available in display sizes, ranging from 10.1” through to 21.5″. With more than 20 years’ experience in embedded computing, Arbor Technology continues to develop and manufacture industrial computing solutions. Arbor is a leading supplier of computing solutions which can be applied in the healthcare, transportation, industrial automation, warehouse management, and digital signage markets.